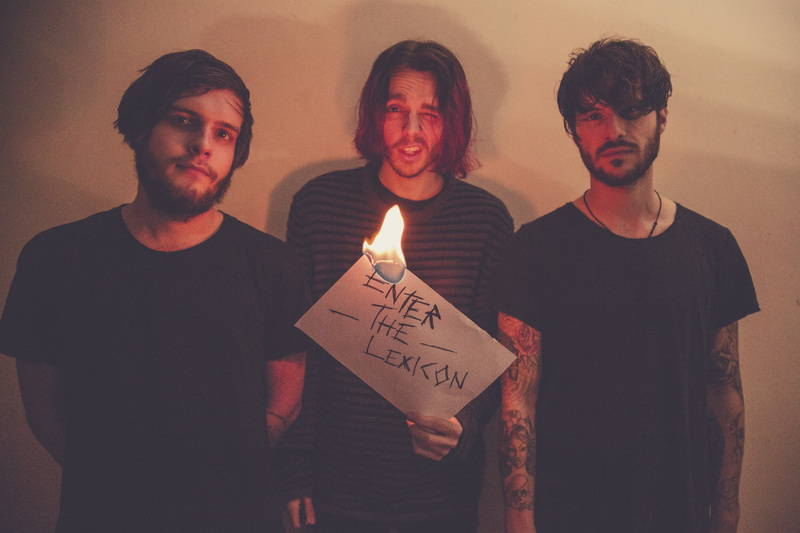 Newcastle born alternative rock trio ENTERTHELEXICON are pleased to reveal the video for single release ‘Codes’, taken from their new EP ‘Ruining Lives’. Watch the video for ‘Codes’ here below.. This EP is a taster of the bands new material that will be released via a full length debut album in 2016. ‘Ruining Lives’ is the sneak peek of what the band have been working on since the release of their debut self-titled EP early last year. 2014 smash ‘Do You Feel The Same’, was play-listed on both the Kerrang and Scuzz TV channels and is taken from the bands self-titled debut EP. Over the past twelve months they have played as many shows as possible, including to a packed out room at Camden Rocks Festival earlier in the year. ‘Codes’ has been aired on both on BBC 6 Music and Team Rock Radio, with the video being premiering on Ticketmaster earlier this week. The video is also now available for request on Scuzz TV. ‘Codes’ is taken from ENTERTHELEXICON’s ‘Ruining Lives’ EP which is out now.